If you spend enough time around cyclists, inevitably a story about how someone “lost it in the sprint” will come up. The sprint is a win or lose scenario for many and something that most wish they were better at. 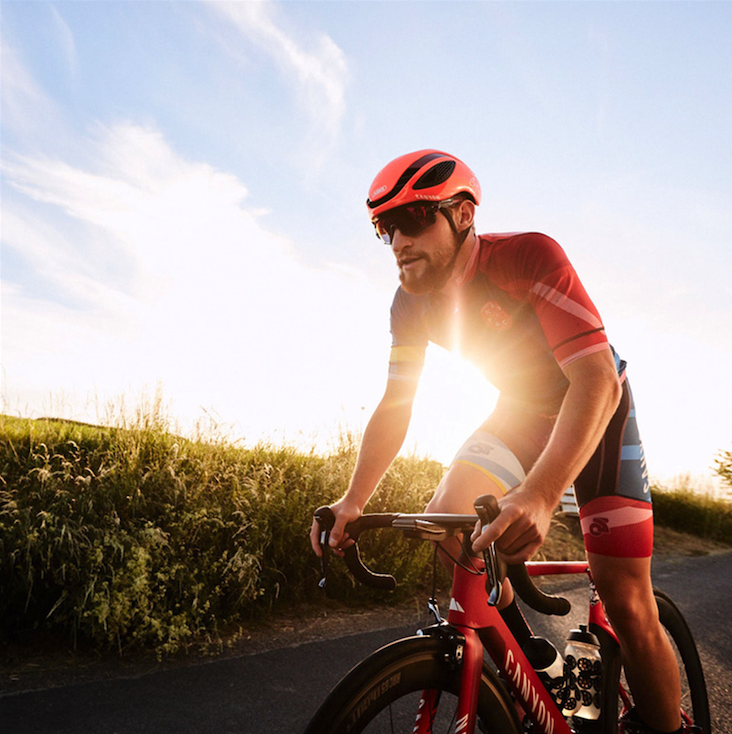 Whether you’re a seasoned road racer or trying to push it at your local Wednesday night group ride, chances are that increasing your sprint power would be beneficial. Sprinting is a dynamic skill set that involves the coordination of several systems in the body working in concert to propel you forward as quickly and powerfully as possible. Let’s dive deeper into what makes for a good sprint and how you can improve yours. What Makes a Good Sprint? We’ll start by defining what a sprint is. A sprint is an extremely hard effort done well above a rider’s anaerobic threshold (AnT), typically lasting 20 seconds or less. To produce strong sprint power there are two primary components needed to be successful: force (power) and leg speed. These two things working together produce the explosiveness and speed necessary for a sprint. Muscular force is a primary driver for all cycling-related skills, and sprinting is no different. Having the muscular strength to overcome resistance produced by air and gravity, as well as adequate force during a sprint, is critical. You can have an overabundance of aerobic fitness, but if the muscular component is lacking you’ll be off the back every time! This muscular force is primarily related to cycling-specific muscle groups in the lower body, but upper body strength plays a role in sprint power as well. There are two places to build this type of strength. One is with discipline-specific strength training and the other is workouts tailored to build muscular force. We’ll go into more detail on these two areas later. Leg speed (cadence) is another important part of sprinting. When we discuss leg speed or speed skills, they are not to be confused with the speed at which your bike moves down the road or trail. We’re talking specifically about the efficiency and pedaling economy at which you’re able to propel the bike forward. Recruiting both big and small muscles in such a way to produce powerful but efficient pedal strokes is something that doesn’t typically come naturally. It’s a learned skill that takes practice and focus like any other aspect of training. Learning how to increase your cadence during extremely high output efforts will result in better economy and efficiency thus producing a better sprint. Becoming a better sprinter starts early in the season. Traditional base period training is when the foundation for sprint speed and power should be laid. The first step should be building muscular strength in an effort to increase power. A periodized approach to strength training is key when integrating strength work into your cycling. Focus on prime movers and dynamic movements that closely mimic the motion of a pedal stroke. Exercises like step ups, squats, and lunges are great for building muscular force. The frequency and intensity of these sessions will be based on your individual needs as an athlete. Typically the goal is to blend both progressively heavier-weighted work with explosive movements as you move through the different stages of your base periods. In order for your top end power to be strong, you have to have a strong foundation. Focusing on your aerobic endurance is one of the first steps. Aerobic endurance is built by spending time in zone 2. These low-intensity rides facilitate a host of physiological adaptations. Examples of these changes include increasing your VO2 Max, becoming more efficient at carrying O2 rich blood to muscles, increased enzymes for energy delivery, and much much more. Often times riders think that the only way to increase their sprint speed is to train well above their lactate threshold. This mentality leads to an insufficient foundation and a lack of fundamentals. Remember, train slow to be fast! Once you’ve taken time to integrate weight training and build your aerobic endurance, it’s time to perform workouts that help to develop your sprint. Specificity is always the key when working to develop a specific skill. These types of workouts are focused on building the two primary components of sprinting; muscular force and leg speed. Begin your sprint-focused phase with a sprint power test to provide a benchmark to track your progress. After a proper warm up, from a rolling start, perform 8 pedal strokes on each side (16 total) as hard and quickly as you can. Your peak power for these 8 strokes is a measure of your sprint power. Retest your sprint power every 4-6 weeks to see if you’re making gains. Not only is sprint power important, but efficiency and form are key as well. Work in 5-10 second sprints both in and out of the saddle during a ride, followed by anywhere from 3-5 minutes of recovery to hone your form. Keep the intensity in check for these so that your focus can remain on execution and not just power. Next, you’ll want to work on your explosive power. This can be accomplished by integrating “jumps” into your ride. A jump is a very quick and high powered surge that’s typically around 12 rotations of the cranks. These should be performed at maximal effort and a high cadence. They can be performed in sets where you take little recovery between 3-5 jumps, and then several minutes of recovery before performing the next set. Sprinting is a dynamic skill that takes practice and focused training. A good sprint is made during the base period with a focus on strength building and aerobic endurance. Base training is the only way to prepare your body to handle the intensity and power necessary for sprint development. Once you’ve built the proper foundation you can integrate sprint specific workouts to help hone your form, efficiency and power. Bringing all of the nuanced pieces of a sprint together at the exact right time is what makes it one of the most challenging and exciting skills to develop as a cyclist. Taylor Thomas is the founder and head coach of Thomas Endurance Coaching (TEC) and has more than a decade of experience in the endurance sports industry as an athlete, coach, race promoter, and team organizer. TEC provides expert level coaching to athletes of all ability levels and specializes in both a scientific and metrics-based approach to endurance sports. They guide athletes in all disciplines of both running and cycling. Browse their pre-built training plans on TrainingPeaks, or for more information on personal coaching and custom training plans visit www.thomasendurancecoaching.com. Follow TEC at @endurance_coach.